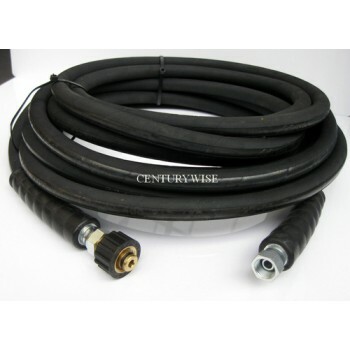 THIS IS PROFESSIONAL QUALITY HOSE, WHICH WILL EASILY OUTLAST THE MANUFACTURERS ORIGINAL PLASTIC &..
PROFESSIONAL QUALITY REPLACEMENT HOSE FOR LAVOR MACHINES. ALL ITEMS MADE IN EUROPE 10 MTRS. OF .. REPLACEMENT HOSE FOR THE HUGELY POPULAR, EXCLUSIVE TO LIDL & MAKRO , LAVOR SUPERWASH 160. Also ..
PROFESSIONAL QUALITY TRIGGER, LANCE AND 1Omtr HOSE TO REPLACE THE ORIGINALS SUPPLIED WITH THE MACHIN..